Bothner is listed as the American Lightweight Catch-as-Catch-Can Champion. Kohl is listed as the New York Welterweight Catch-as-Catch-Can Champion. 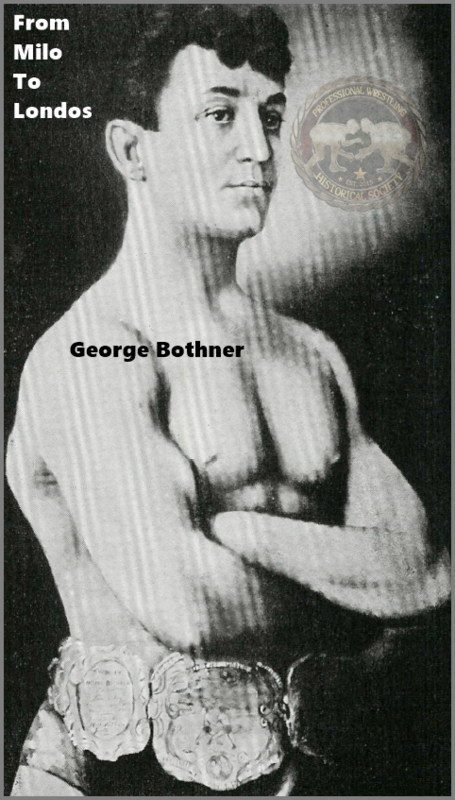 George Bohmer is listed as the American Lightweight Catch-as-catch-Can Champion. Muller is listed as the African Heavyweight Champion. McCormack is said to be the former trainer of the Turk. Some papers noted Roeber as the World Graeco-Roman Champion going in, others as the American Graeco-Roman Champion. Olsen is listed as the European Graeco-Roman Champion, although one paper states it's only alleged that he was the champion. Roeber said he could not continue when he lost the second fall as his ribs were injured. Whether the match was fixed or not was also differing between papers. - Sparring With James J. Corbett, Will Lester, Tom Sharkey, Gus Ruhlin, Peter Maher, Matty Matthews, Jimmy Handler, George McFadden, Billy Smith, Professor Mike Donovan, George Scheuegler, Kid Levy and George Holden - Was cancelled. - Bag Punching with Fred Graveur, the Kelly brothers and Johnny Dunn. - Stength Display by Rolando. - Rowing with Edward Hanlon and Davy Roach. - Handball saw Phil Casey Vs. E.J. Giannini. - Bicycling 'Mile a minute' saw Murphy Vs. Albert. - Broadsword - Professor Koch Vs. a pupil. - Speech from John L. Sullivan. Jeffries was unable to appear at the event which is why Ernest Roeber ended up being a referee. George Bothner was holding a version of the lighweight championship at the time of this event. No mention of Paul Pons is made in the write-up following the show. Possibly he did not perform. All wrestling exhibitions were noted for having no falls in them and being of a friendly nature, besides the Bother contest. A number of local wrestlers also appeared. Bothner is listed as claiming the lightweight championship.